A composite filling is a tooth filling that is tooth-colored in order to match your smile. A composite filling may be necessary to fill a cavity or the decayed portion of the tooth. While a tooth filling can be made using gold, porcelain, silver amalgam, the most common filling today is a composite material as it makes the smile look most natural. During the procedure, Dr. Stephenson will use a local anesthetic to numb the area around the damaged tooth. Next, he will use a drill to remove the decayed part of your tooth, the cavity. He will then test the area to ensure all the plaque and debris are removed. He will then fill your tooth in with the composite material in layers. Each layer is hardened using a special light. The tooth must remain dry for the entire process. 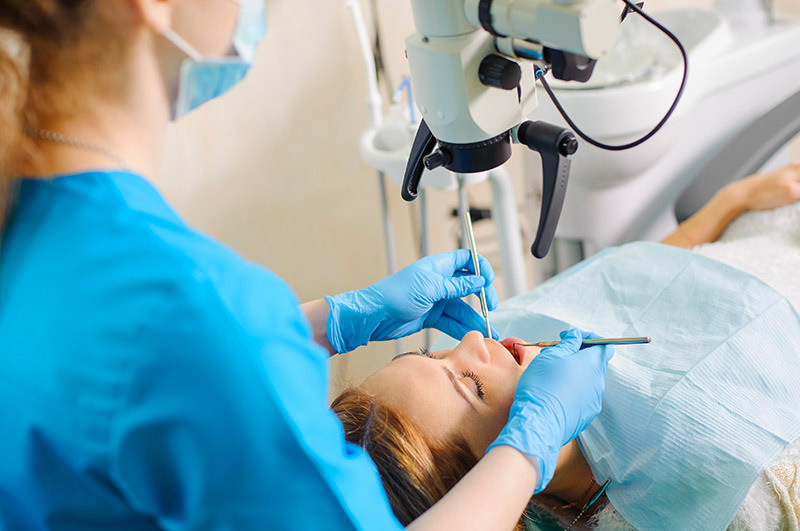 Finally, Dr. Stephenson will shape the tooth to the correct bite, remove any extra material, and finish the procedure by polishing the tooth. A composite filling is the most natural tooth filling you can have to repair a decayed tooth. That way, all your teeth, even when you open wide, will look uniform and beautiful. Schedule a consultation with Dr. Stephenson to see which teeth could benefit from composite fillings.